The last config option is used to tune the algorithms precision. 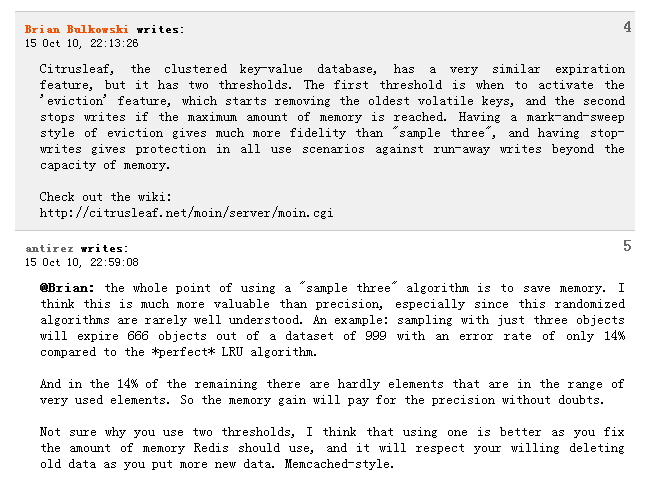 In order to save memory Redis just adds a 22 bits field to every object for LRU. When we need to remove a key we sample N keys, and remove the one that was idle for longer time. For default three keys are sampled, that is a reasonable approximation of LRU in the long run, but you can get more precision at the cost of some more CPU time changing the number of keys to sample.